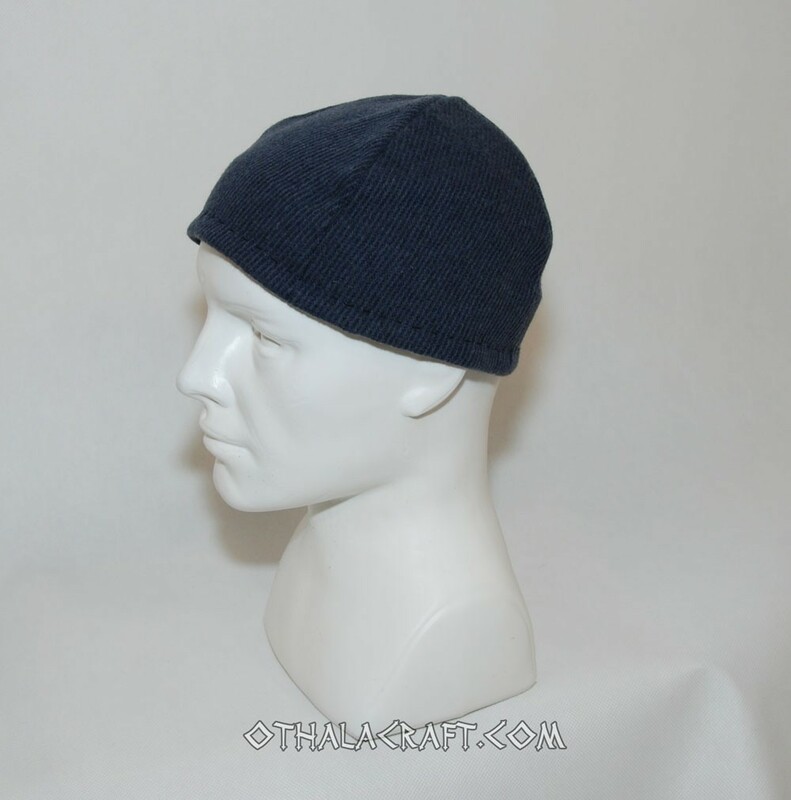 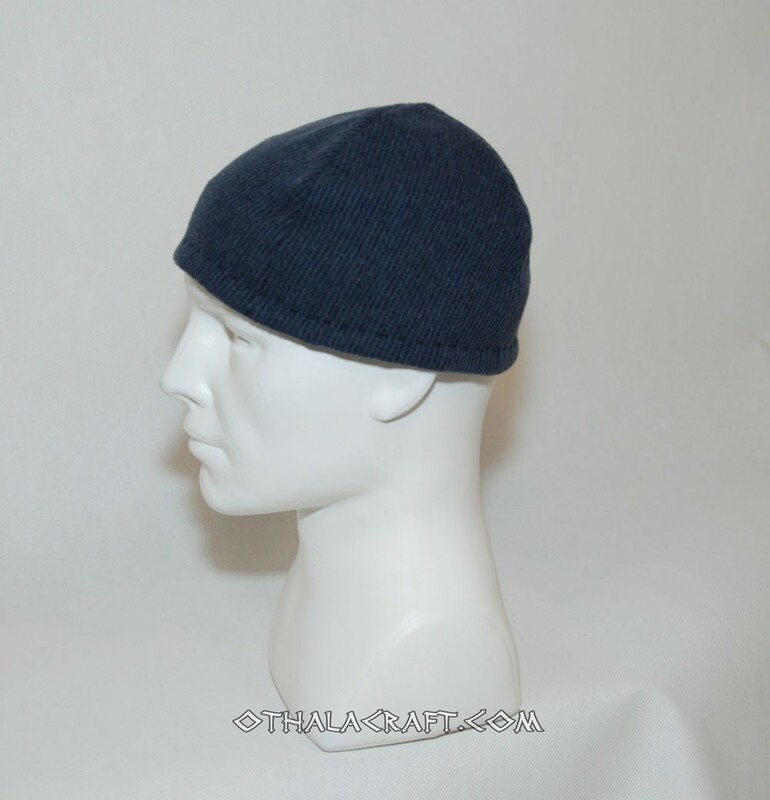 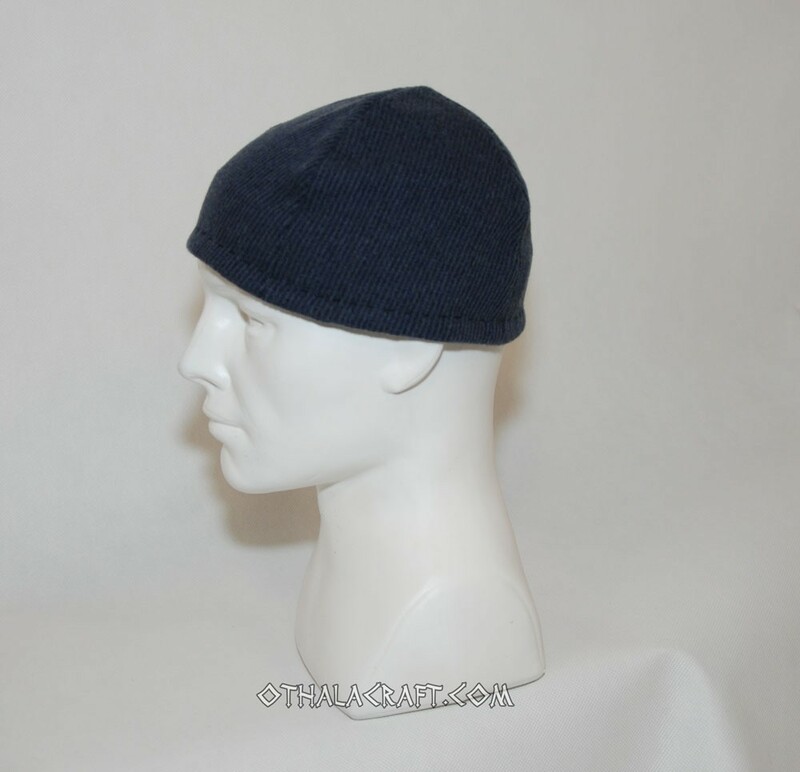 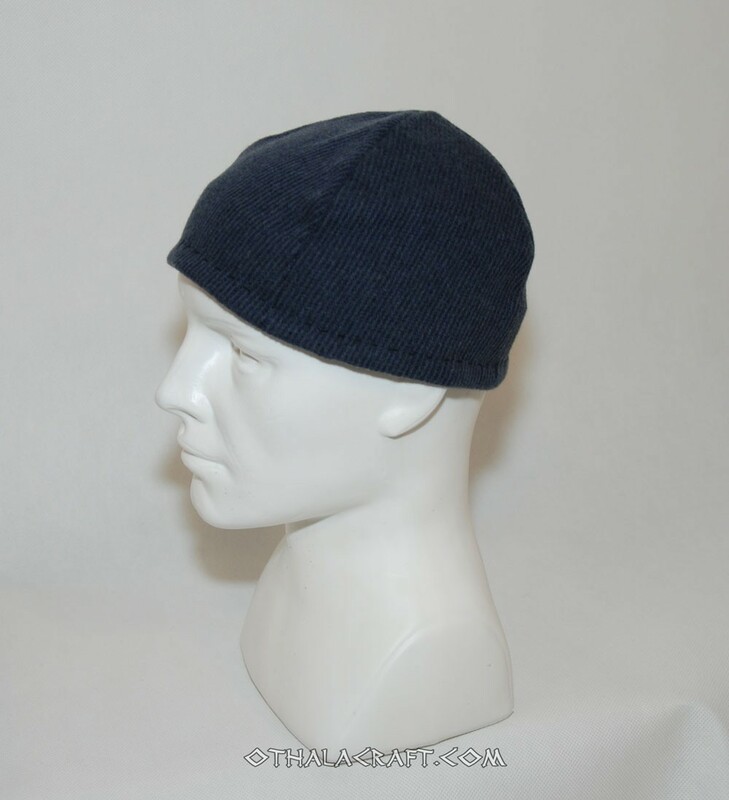 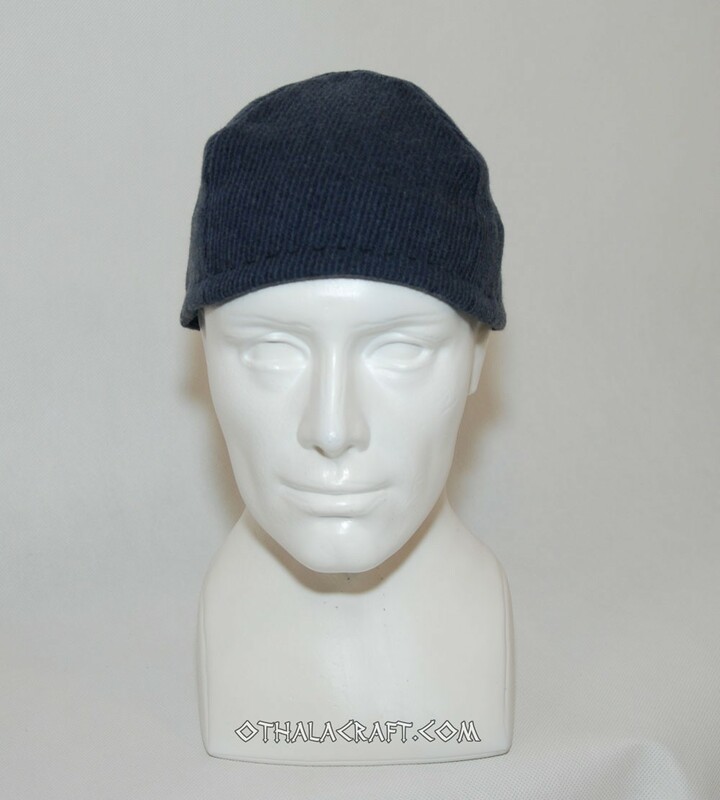 Hat made of dark blue wool. 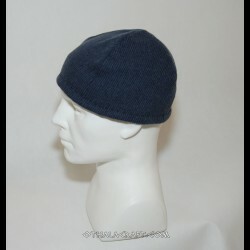 Size M: girth measure on the inside is 57 cm, deep 19 cm. 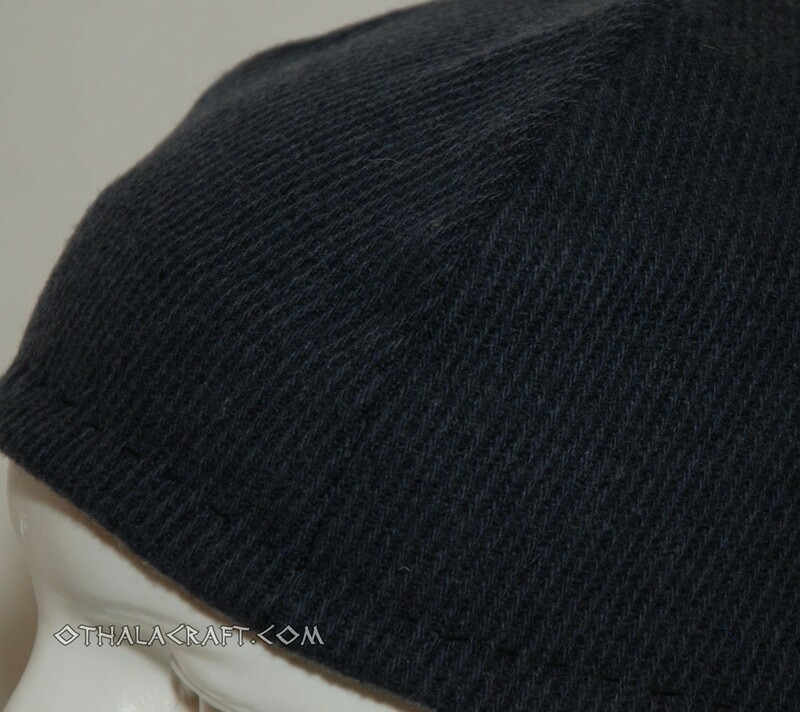 Size L: girth measure on the inside is 57 cm, deep 19 cm. Size XL: girth measure on the inside is 62 cm, deep 20 cm.